The name of the corporation shall be the Spooner Area Chamber of Commerce, hereinafter referred to as the Chamber. The Spooner Area Chamber of Commerce acts as the community catalyst among civic, business, government and other groups to promote the assets of the community, along with tourism and growth. The Chamber’s principal office shall be located in the City of Spooner. The Chamber is incorporated under and shall observe all local, state and federal laws which may apply to a non-profit organization as defined in section 501(c)6 of the internal revenue code. In addition, the Chamber shall be non-partisan, non-sectional, non-sectarian and shall take no part in or lend its influence to the election or appointment of any candidate for political office. The Chamber prohibits harassment or discrimination on the basis of gender, race, age, color, national origin, sexual orientation, religion, disability, marital status, arrest/conviction record, political affiliation, military participation, and any other protected class. People of good standing interested in the commercial, industrial, civic, recreational, and agricultural progress of the Spooner Area shall be eligible for membership in one of the four classes. Membership shall not be denied due to gender, race, age, color, national origin, sexual orientation, religion, disability, marital status, arrest/conviction record, political affiliation, military participation, and any other protected class. Full Member: A full member shall be a person who owns, operates or manages a business in the City of Spooner or its trade area or a person who is an employee of such business. Individual Member: An individual member shall be a person who does not own, operate or manage a business but who is interested in the Chamber and its avowed goals and whose talents would be an asset to the Chamber. 501 c(3): A 501c(3) Organization Member shall be an organization with active members, civic, or special interests, whose activities help further the emission of the Chamber. Honorary Member: An honorary member shall be a person who does not own, operate or manage a business. 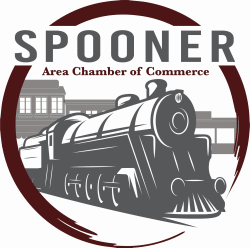 Application: Any person, natural or legal, who in doing business for profit in the Spooner area and shares a common concern for the economic, civic, commercial and social welfare of the Spooner area, and who shall be declared eligible to active membership and subject to the acceptance of the Board of Directors shall be eligible may complete a Spooner Area Chamber of Commerce application to be considered for active membership. Upon receipt of a completed application and dues, the applicant will be notified of membership by the Director. If a decision is made by the Board of Directors to not accept an application, communication will be made in writing. Full Member: Companies with more than 10 employees. Individual Member: Sole proprietor and small businesses with less than 10 employees. 501 c(3): Non-for profit entities. The board of directors, by a two-thirds majority vote of such board, may reject any application from membership in the corporation and further a two-thirds majority vote of such board may remove from membership any member whose membership shall be declared by the board to have become inimical to the purpose and/or best interest of the Chamber. Provided, however, that prior to taking final action on the rejection of any applicant for membership or the removal of membership from any member, the board of directors shall cause such person so affected to be notified in writing, stating in a general nature the reasons for the intended action of the board of directors affecting such person and further notify such person of a date at least ten (10) days hence; by registered mail or certified mail, return receipt requested; at which said person shall have the right to a full hearing before the Board of Directors prior to the final action by the board of directors on such intended action. All Classes of membership are entitled to vote on Chamber business. However, at the discretion of the Board of Directors, the number of eligible votes per business may be restricted to the number of paid memberships. The Board of Directors shall meet monthly at a time and place designated by the Board. This is typically the first Tuesday of the month – before the Wednesday regular monthly meeting. Board meetings are open meetings and may be attended by any member. However, a portion of the meeting could require confidentiality, at which time anyone not a Board member would be asked to leave. General membership meetings of the Chamber shall take place no fewer than four times per calendar year at a time and location designated by the Board. Most months, the general Membership Meetings will be held monthly on the first Wednesday of the month following a Tuesday Board meeting. The annual meeting of the Chamber shall take place in December of each year; at that time officers will be nominated and elected. New officers will take office in January. The Board of Directors may call special meetings provided all members are notified beforehand of the time, place and the purpose of such meeting. No matter shall be considered at a special meeting except that stated in the original notification. Notice of regular, annual, and special meetings shall be given to each member in person, electronically, by telephone or by mailing notice to the last known address or comparable means of communication within a reasonable amount of time before the meeting occurs. The management of this Chamber shall be vested in the Board of Directors who shall be and are empowered by a simple majority vote of such Board to conduct and transact any and all business of this Chamber. A quorum of the Board of Directors to conduct business shall be a simple majority of its members. The number of Directors for a fiscal year and subject to the provisions of the Articles of Incorporation herein and these By-Laws shall be nine (9). Directors and Officers must be members in good standing with all fees and dues paid. Any member in good standing is eligible to be elected to any office of the Chamber. Each elected Director shall be elected for a term of three (3) years, with three board members being elected each year, for staggered terms. It is the intention of the Chamber to insure that the composition of the Board of Directors is such as to fairly reflect the various individual commercial activities of its membership. The Board of Directors shall meet not less than once each calendar month at such time and place as shall be made known to the membership of the Chamber. Any Chamber member shall be given audience by the Board at such regular meeting. The President or a majority of the Directors may call a special meeting at any time or place provided all Directors are given adequate notice thereof. The presence of a simple majority of all Directors shall constitute a quorum at any meeting of the Board, and it is further provided that each Director present at any meeting of the Board shall have the power of but one vote. The Board of Directors at its first meeting of the fiscal year shall elect a President, Vice-President, Treasurer, and Secretary from its own number, to hold office for one year and until their successors are elected and qualified. The office of Secretary may be held by the Chamber Director if the board so desires. Any vacancy in any of the offices shall be filled by the Board of Directors. The Board of Directors may from time to time by Resolution appoint assistance to said officers of this corporation. In addition, the Board of Directors may from time to time, by Resolution employ a Director and such other persons and agents of the Chamber and fix their compensation, if any. All such appointive officers, agents and employees shall be subject to removal at any time by the Board of Directors. In the absence of the President and Vice President, a member of the Board shall be selected to conduct official business. The President shall have the supervision and, subject to the control of the Board of Directors, of the Chamber’s affairs with full power to execute all resolutions and orders of the Board of Directors not specially entrusted to some other office. The President also shall preside at all meetings of the Board and Corporation meetings, and shall be an ex-officio member of all committees of the Board and Chamber. The President, together with the Treasurer, shall sign (if required) all membership certificates issued by the corporation and shall perform such other duties as shall be prescribed by the Board of Directors. The Vice-President shall be vested with all the powers and perform all the duties of the President in his absence or inability to act and he shall perform such other duties as shall be prescribed by the Board of Directors. The Treasurer shall have the custody of all funds and securities of the corporation except as the Board of Directors may by Resolution determine otherwise. The Treasurer shall keep accurate accounts of all such funds and securities received and paid on account of the Chamber and shall pay out and dispose of the same only under the direction of the Board of Directors and shall render a statement and exhibit the books and accounts whenever required by the Board, and perform all acts incident to the position of Treasurer. A summary report is expected monthly to the Board and to the general membership. The Secretary shall keep a record of all meetings of the members of the Chamber and of its Board of Directors and attest the same by signature. The Secretary shall enter on the records all contributions to the Chamber and keep a list of those persons who are members. The Secretary shall promptly notify in writing the members of the Board of Directors and all officers and agents appointed by the Board of their election or appointment and familiarize them with the By-Laws and rules. The Secretary shall have the custody of the corporate seal of deeds, contracts and other instruments pertaining to the affairs of the Chamber. The Secretary should assume these responsibilities except as the Board of Directors may, by Resolution, determine otherwise. Any Officer may be removed at any time, with cause, by the vote of a two-thirds majority of the Board of Directors at any regular meeting or at any meeting called for that purpose. The Officer having been thus removed from office, the Board shall fill such resulting vacancy for the unexpired term thereof as provided in these by-laws. Should any Director be absent from three regular or special meetings per year of the Board of Directors without having been excused by the President of the Board, such absence may be construed as a resignation which may be accepted by the Board. Any vacancy caused by the resignation, removal, or other reason, including acts of war, pestilence, disaster or whatsoever reason, of any Officer, or Director, individually or collectively, other than a vacancy or vacancies as otherwise provided for by these By-Laws, may be filled by a majority vote of the Directors remaining in office although such number may be less than a quorum as hereinbefore defined. It shall be the duty of the President, with the approval of the Board of Directors, to appoint chairs to all committees designated by the Board of Directors. The President shall also appoint such other special committees as may be authorized or required from time to time and such appointments do not require prior approval by the board. When the last meeting was held. Any progress realized since the last report. Anticipated plans of the committee. If the committee is not able to present the report, the chair shall provide a written update to the Chamber Vice President. The President shall appoint an auditing committee from the Chamber prior to the annual meeting. The Chamber may approve or change the personnel of the committee. It shall be the duty of the auditing committee to examine and audit the books and accounts of the Treasurer and any departments at the close of the year’s business and report its findings to the Chamber. The President shall appoint a budget committee from the Chamber. The committee shall develop an annual budget, appropriate various committee funds and shall review this budget quarterly. The Treasurer shall chair this committee. The President shall appoint a nominating committee. This committee will identify qualified individuals from the entire general membership to fill any board and/or officer vacancies. It shall be the duty of the nominating committee to recommend and present to the Board a slate of nominees as candidates for election to the Board of Directors to fill the vacancies occurring thereon by expiration of terms. Such Committee shall name not less than one (1) nominee for each such occurring vacancy. The ballots shall be officially approved by the Board of Directors. Blank spaces for write–in candidates must equal the number of nominations for each category. The ballots shall be cast during the annual meeting in December by Chamber members present. The results shall be tallied by an impartial agency or auditor and disclosed to the Board the results hereof and such results shall be made known by the Board by proper report. Each Director shall be elected by a majority of the votes cast by Chamber members present at the annual meeting. The candidates receiving the most votes will be elected to the number of positions being filled during the election. In the event of a tie, a new ballot will be prepared with the tied candidates for a new vote to determine the Board candidate. The monies of the Chamber shall be deposited in the name of the Chamber in such bank or financial institutions as the board of directors shall designate and shall be withdrawn only by check by persons designated by the board of directors. No loans, advances or grants shall be contracted on behalf of the Chamber, and no note or other evidence of indebtedness shall be issued in its name, unless and except as authorized by the board of directors. Any such authorization shall be related to specific transactions and may include authorization to pledge, as security for loans or advances so authorized, any and all securities and other personal property at any time held by the Chamber. The fiscal year of this Chamber shall be from and including the 1st day of any month to and including the last day of the preceding month in the following calendar year, such fiscal period to thus constitute and be not less than twelve (12) consecutive months of operation, such fiscal year to be determined, adopted and so published by action of the board of directors, who may in their best judgment and as dictated by operational necessity change, alter or amend the dates of the corporation’s fiscal year, at any time, provided such change, alteration or amendment does not provide less than twelve (12) full months operation ensuing from and after the published date of the start of the newly adopted fiscal year. The board of directors shall require an annual audit of the books of account of the Chamber. Such audit shall be conducted by a committee appointed or auditors engaged for such purpose and whose reports of such audit shall be reviewed by the board and submitted by them in comprehensive form as to operating statement and balance sheet to the members of the Chamber at the next annual meeting of such members immediately following the close of the fiscal year for which such audit has been made. It is provided that the board may at any time during any fiscal year require and have conducted any audit which it deems necessary. All checks drawn against the funds of the Chamber shall bear the signatures of at least two (2) board of director members, at least one of which shall be an officer. The requirement of co-signatures shall obtain in all matters of conveyance, withdrawal or other cashing or liquidation of funds, securities or property of this corporation. EXCEPTION: Gift certificates / Chamber Dollars: the Chamber Director, or assistant, may sign all gift certificates or Chamber Dollars issued on behalf of the Chamber. These By-Laws may be amended by two thirds majority vote of the Board of Directors present at any regular or any special meeting called for that purpose; and any amendment of these By-Laws, by vote of the Board of Directors. The Chamber shall use its funds only to accomplish the objectives and purpose specified in these By-Laws. On dissolution of the Chamber, any funds remaining shall be distributed in accordance with Internal Revenue Code Section 501(c)6. Whenever any notice is required to be given under the provisions of the By-laws of the Chamber or by the laws of the State of Wisconsin, a waiver thereof in writing signed by the person or persons entitled to such notice, whether before or after the time stated therein, shall be deemed equivalent to giving of such notice.